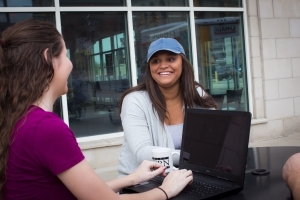 Students are encouraged to meet with a member of the Psychology faculty at WLU early in their program of study at WVNCC to obtain information and counseling concerning the Psychology program. Important Note: Students should be aware that the Bachelor of Sciences degree in Psychology w/ a Social Work minor from WLU does not qualify students for any kind of licensure. Students who are interested in becoming licensed social workers, licensed psychologists, or licensed professional counselors have to complete a B.S.W. degree in an institution that is accredited by NASW and/or complete a Bachelor’s and Master’s degree in a field that is license eligible at the Master’s degree level. Consult with an academic advisor for questions related to this note. Students completing this option will receive an Associate in Applied Science degree from West Virginia Northern. Upon completing the additional credit hours required at WLU, they will receive a Bachelor’s of Science Degree in Psychology w/ a Social Work minor.